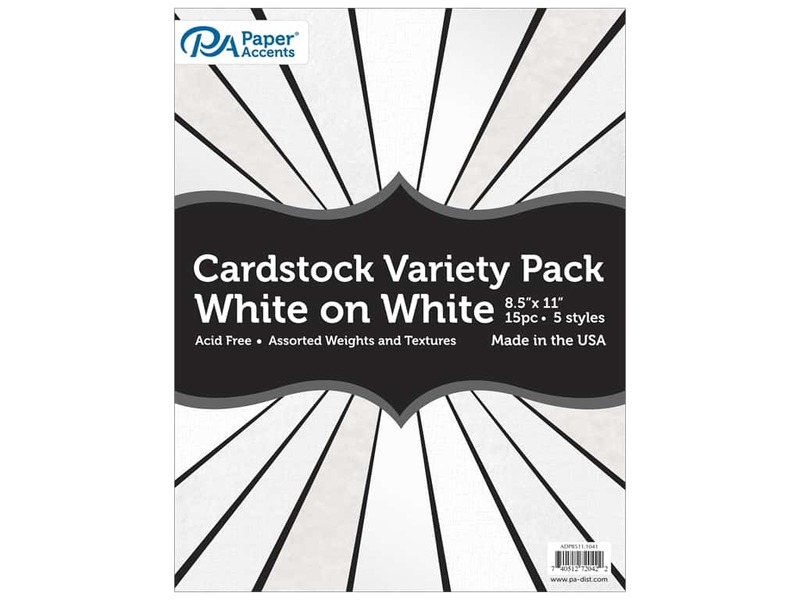 Description: Paper Accents Cardstock Variety Packs are packs or archival quality heavy card stocks that are great for themed scrapbook pages, cards, crafts and more! Acid free, lignin free and buffered. Three sheets each: #201 Parchment White, #883 Pearlized Bright White, #701 Textured White, #4010 Linen Bright White, #8081 Muslin Bright White. 8 1/2 x 11 inch. 65 lb. 15 pc.